We continue refactoring our server tests. 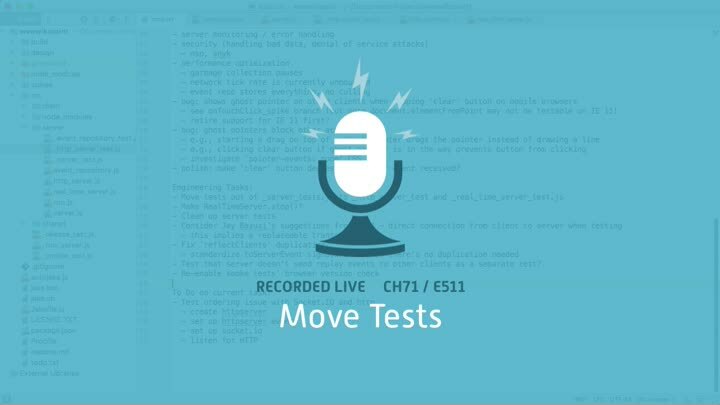 Next up: moving our RealTimeServer tests into their own file. It seems like an easy change, but we’re plagued by inconsistent failures. What’s wrong?